In this video, we review Sprint's 3G/4G card and talk about speeds that can be achieved over their 4G network. While Sprint claims the theoretical maximum of their 4G network to be 10mbps down (which is CRAZY fast for a wireless connection), average speeds should be around 6mbps. As a comparison, 3G networks can do around 1.2mbps, or up to 1.5mbps on a good day, and so that jump to 6mbps is a 4-5 times increase in speed. That said, in our testing, we didn't get to those speeds. Testing from various locations in and around the Philadelphia area, we clocked anywhere from 2mbps down to 4.2mbps down. It's possible that the 6mbps was never achieved in our testing because of a variety of factors, including signal strength, current load on the network, and weather. That said, the 4G speeds we achieved were plenty fast to allow for super smooth web browsing and even streaming of HD video from YouTube. Sprint's 4G network is built off of WiMax, which is a competing 4G standard to LTE (based on UMTS). Right now you can get WiMax in about 20 cities in the US, including Philadelphia, PA; Austin and Dallas, TX; Chicago, IL; and others. See the full list here. In terms of price, you can get the Sprint 3G/4G card for free after rebates, but you need to sign up for a $70 per month access plan. This will give you unlimited data transfer (yes, unlimited) when over 4G. If you're not near a 4G signal, the card will revert to 3G, and you can use up to 5GB of data (which is still pretty good). In essense you are paying $10 more per month to get the 4G access compared to 3G on other carriers. If you're in a city that has the 4G, it makes a lot of sense to go with the 4G card. We're looking forward to Sprint making their new service available to more people in the coming months. 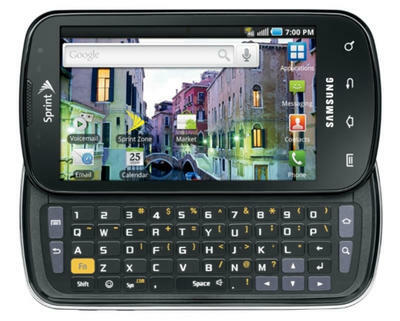 For more on pricing, check out Sprint's 4G microsite.